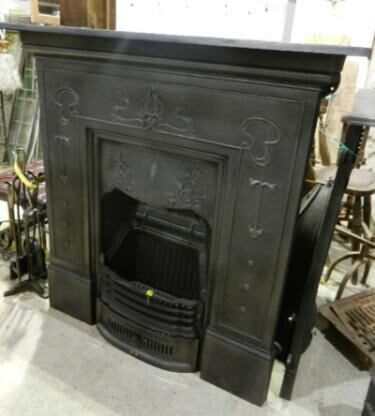 NEW AND RECLAIMED, FIREPLACES, SURROUNDS, BASKETS AND FIRE DOGS ETC. ETC. ETC., PLUS ACCESSORIES. MARBLE, PLASTER : ALL TYPES & STYLES. 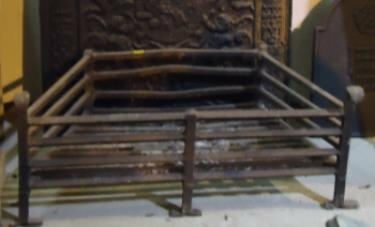 Old reclaimed wrought iron fire basket, and ash pan. An old heavy, reclaimed fire basket. 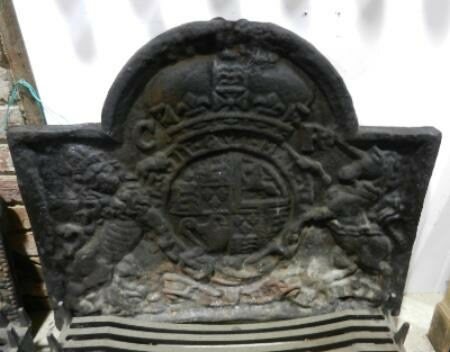 A reclaimed, cast iron fire back, with ornate raised casting of a lion and unicorn. 510mm (20") height to top of curve. 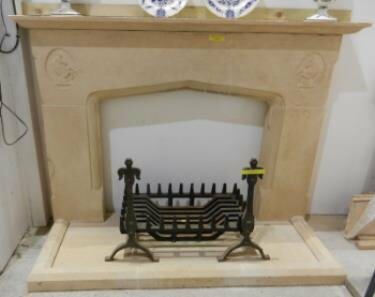 Reclaimed, small Victorian stone, bedroom fireplace. 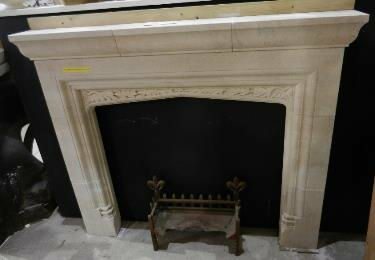 A Natural Stone, reclaimed, fireplace, with hearth, and carved horses in the top corners..
Reclaimed, natural stone fireplace. With carved leaf pattern over arched opening (See detailed image). 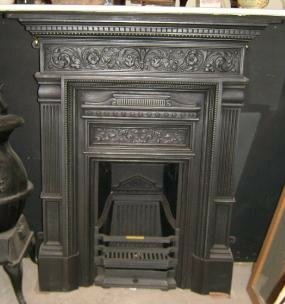 A very large, reclaimed, cast iron fire back, with ornate raised casting of a lion and unicorn. 790mm (31") height to top of curve. 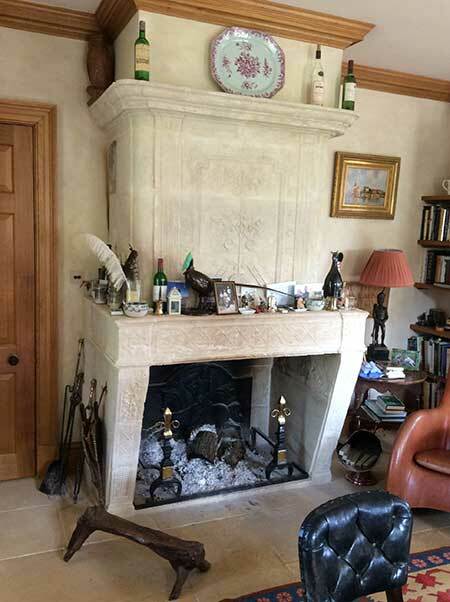 It is thought that this originally was reclaimed from a French Manor House. 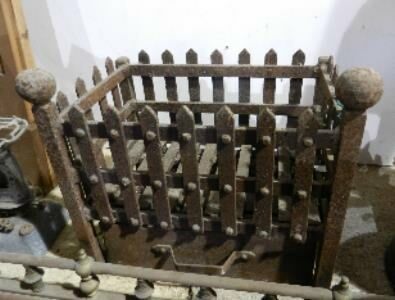 A very heavy, large wrought iron, reclaimed fire basket. 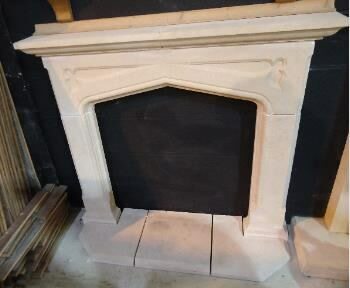 1040mm (41") widest point which is the mantle piece. 420mm (161/2") width of fire opening. 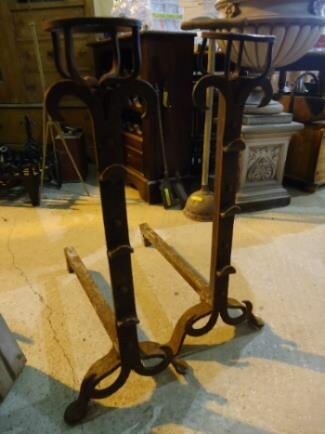 Reclaimed, large, old iron set of fire dogs. Very heavy. 710mm (28") height to the front of cup. 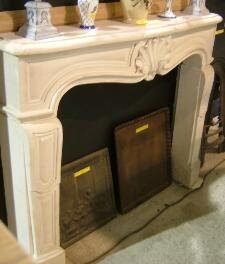 Reclaimed, large, old natural Horton stone fireplace. 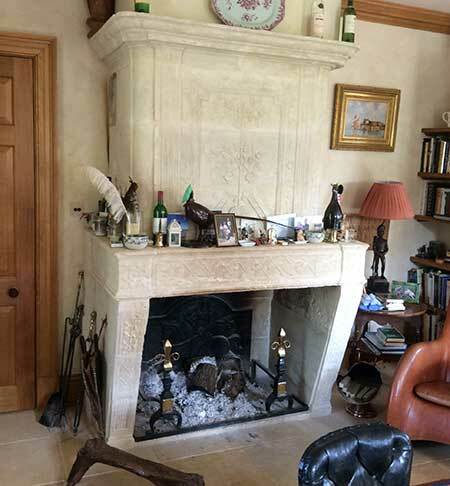 A reclaimed, natural stone fireplace and hearth. 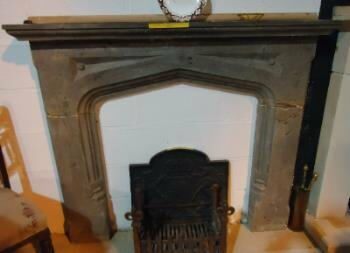 This fireplace has a ornate pattern, carved into the head There are internal stone slips, to go with this fireplace to make the opening size smaller, if required. 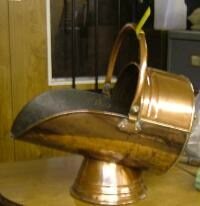 An old reclaimed copper coal scuttle in very good condition, with a small handle to the back. Size : 450mm (17 3/4 ") high to the top of the handle x500mm (19 3/4 " ) long x 320mm (12 1/2") deep . 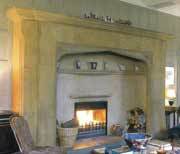 A very good looking large reclaimed cut stone fireplace made from local stone. 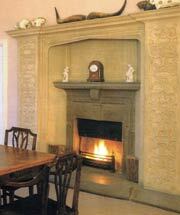 Was originally in a local Manor House. Some minor damage to one or two edges. There are "Tudor Rose" motifs in the corners of the spandrels Approximate age of 100 years old. 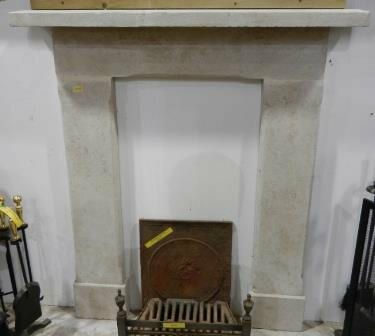 An very good looking large, reclaimed, decorative natural stone fireplace. 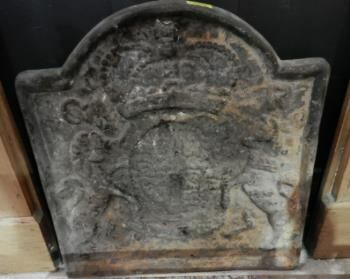 Reclaimed from a local Manor House. This has been reinstalled in our showrooms and is well worth a look at.